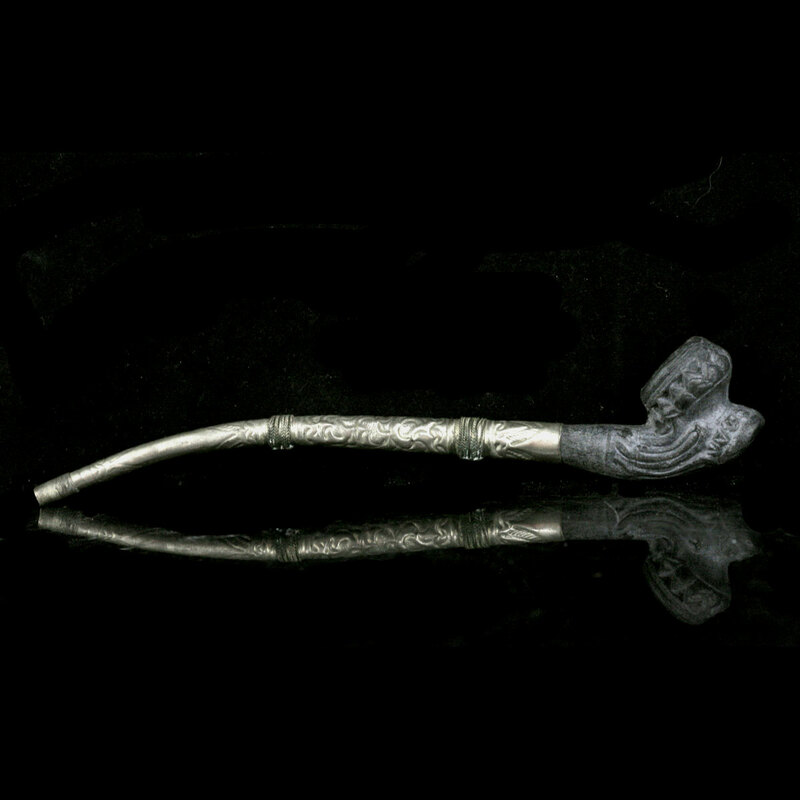 ﻿ Trade Lots : Tibetan white metal pipe with clay pipe. 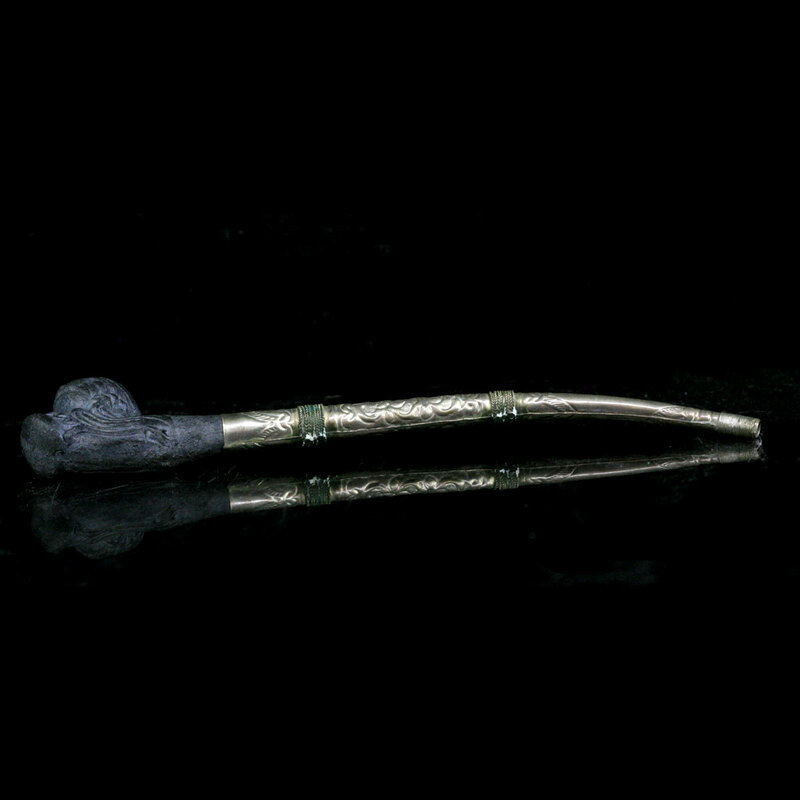 Tibetan white metal pipe with clay pipe. 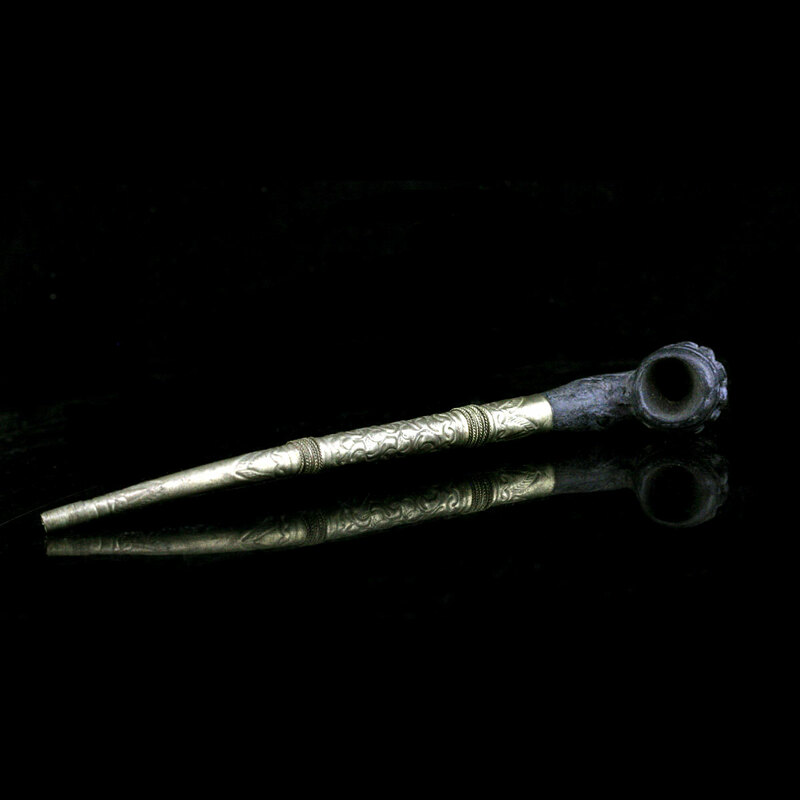 Tibetan white metal and clay pipe.